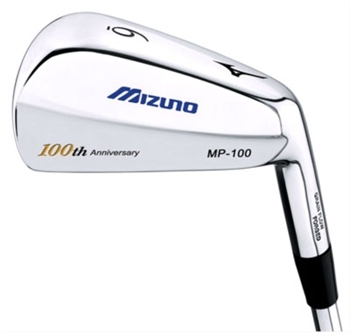 • Built to commemorate Mizuno’s 100th Anniversary, these were a very limited edition set of classic muscle back irons. • Each iron from 3-PW is numerically identifiable through a laser print to the neck. • Patented Grain Flow Forged process with 1025 E Pure Select mild carbon steel for the ultimate in soft, solid, consistent feel. • Durable Double Nickel Chrome plated finish for an elegant look with maximum durability.